On behalf of Admin of JML Law, A Professional Law Corporation posted in Wrongful Termination on Saturday, Oct 06 2018. We are a little more than two weeks away from the 2018 midterm elections, and millions of California residents look forward to casting their votes in the upcoming election. As political conversations get more heated and controversial with each passing day ahead of the November 6 election, many people turn to social media as their main outlet for expressing their political opinion, praising support for Republicans or Democrats, and bashing the opposing party. Oftentimes, this leads to some very unfortunate consequences. As the 2018 midterm elections are just around the corner, our Los Angeles wrongful termination attorney here at JML Law has been receiving many calls from employees all across California complaining that they were fired or faced another adverse employment action due to their political opinion. If you think that publishing one or two politically-charged social media posts, or retweeting or liking political posts published by others is not going to harm anyone (or you, for that matter), think again. 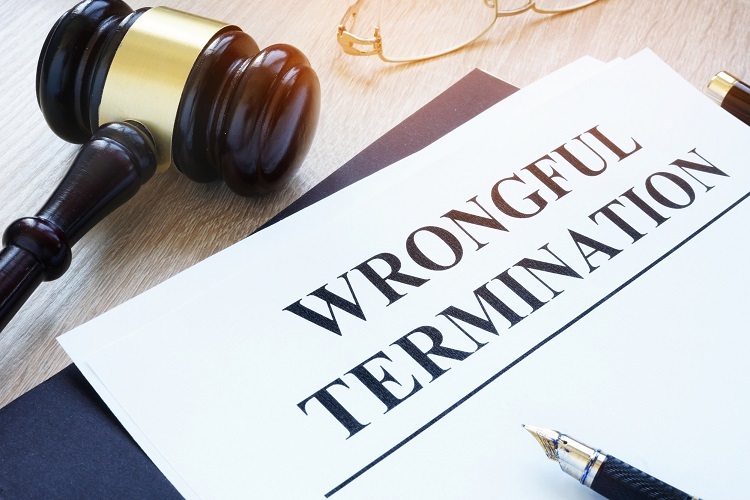 Believe it or not, you can be fired for expressing your political opinion in California, and most likely, there will be nothing you can do about it unless you are represented by an experienced wrongful termination attorney in Los Angeles. Does the First Amendment protect you from being fired for political speech? “How is this even real? Isn’t the First Amendment supposed to protect me from facing retaliation for my political opinion?” you may be thinking. This is one of the most common questions lawyers receive. It is true that the First Amendment protects you from actions that limit your free speech and prevent you from expressing your political beliefs, but only when these actions are taken by the government. When you work as a private employee in Los Angeles or elsewhere in California, on the other hand, the First Amendment does not protect you from being fired or facing any other form of adverse employment action for expressing a political opinion in the workplace or posting something politically-charged on social media. Does California law protect workers from political discrimination? In fact, if you are like most workers in California, you are employed at an at-will basis, which means your employer has a legal right to fire you at any given time, for any reason or no reason at all. And while California discrimination law does protect employees from being terminated on the basis of their race, religion, skin color, national origin, gender, disability, marital status, sexual orientation and many other protected characteristics, federal and state anti-discrimination statutes do not consider “political speech” or “political opinion” as one of the protected characteristics. However, if you have been fired for expressing your political opinion on social media or in the workplace as an at-will employee in California, there may still be a way out to sue your employer and recover compensation. Our Los Angeles wrongful termination attorney at JML Law explains that since many current political discussions touch upon such issues as the immigration ban, the Mexican wall, and the Donald Trump administration’s approach to LGBTQ issues, you may be able to sue your employer for firing you on the basis of a harassment or discrimination claim. That is because race, gender, national origin, skin color, religion, and sexual orientation are the protected characteristics under California and federal law. Speak to our experienced lawyers at JML Law to find out more about your legal options. Call our offices at 818-610-8800 for a free case evaluation.